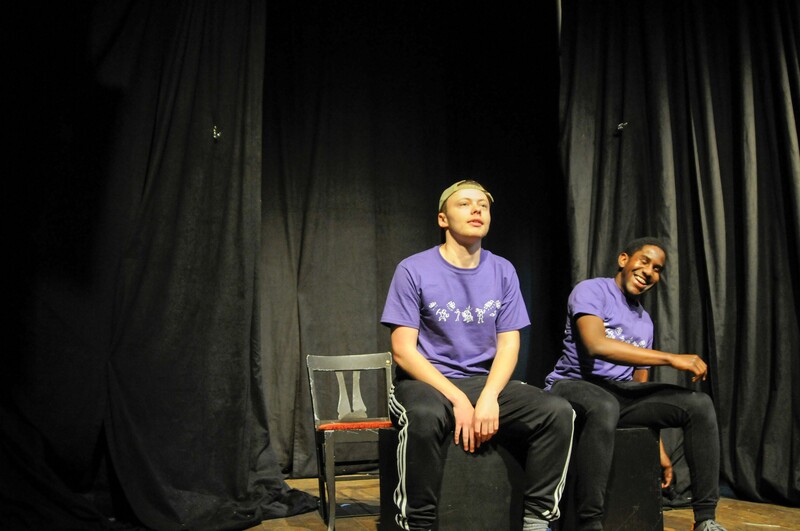 Last weekend Swarthmore’s Drama Board put on a Playwrights festival in Olde Club. This event featured five plays and writers, six directors, 22 different actors, and also the help of many other students. Walking into Olde Club, one could notice the cozy and packed space and feel excited by the murmurs of anticipation. A completely student-run and produced event, everyone in the audience was eagerly waiting to see a friend, a hallmate, or maybe a sibling. The first play Revisionism, was a sweet and hilarious twist on excuses for not turning in your homework. Dynamic and full of the classic Swattie spirit that is slightly strange, quirky, and creative, this play by Rebecca Rosenthal left audience members chuckling and relating. The next play Cohra, by Nader Helmy, was a play about being a black sheep, the cult of FIFA, immigrant masculinity; it was a play about outsiders. It opened with a touching scene between an immigrant father and son watching a football match that struck a chord with many audience members. The third play New Year’s Spirits was a hilarious play about a ghost who was damned to a home with a quirky old-fashioned couple, a younger frustrated brother, and the curse that the ghost needs them to break. Next was the play Bees by Emma Pernudi-Moon, a haunting play about how swarms of bees constantly seek help with no one– not a bartender, nurse, or psychiatrist– responding to help. Finally The Mortality Play, written by Alex Kingsley ’20 is about how two angels accidentally kill God, and how they try to cover it up. It was both wonderfully poignant and hilariously rich. Overall, the plays blew up Olde Club. People were laughing and so impressed by the work that everyone put in. The process too, of creating these productions was one of true bonding and giving. 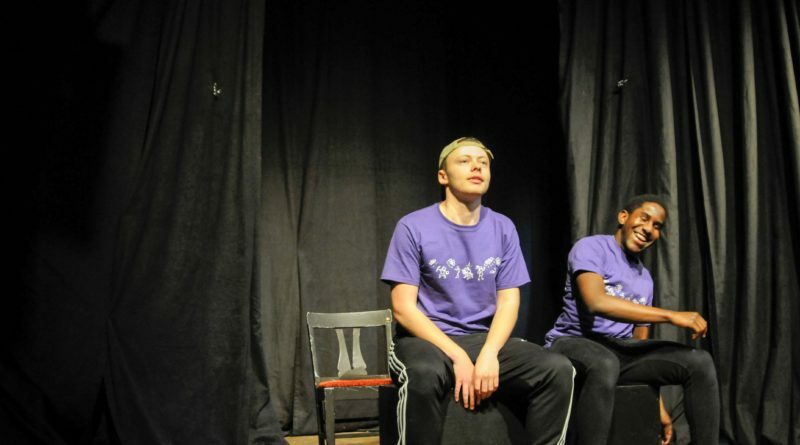 Every play seemed to have a great dynamic, that enjoyed themselves. Madeleine Feldman ’17, one of the leaders of Drama Board who helped put the Playwrights Festival together also felt both awed and satisfied with the two day festival. “I feel really really happy and satisfied after our two days of performances – after about a month and a half of meeting writers and directors, pairing them, holding auditions, and having rehearsals, the performances each went phenomenally,” said Feldman. Feldman also expressed that she thought that this was a great sign for theater at the college. “It makes me feel really hopeful for the future of Swarthmore’s art scene, and theater scene especially, to see how many people were willing to dedicate their time to making a brand-new piece of theater come to life,” said Feldman. This is extremely exciting since the Drama Board hasn’t been as present in recent years. Feldman expressed that she and the board realized that much of the student body did not know of the Drama Board and its resources. She and her fellow board members dug into Drama Board’s history and found that years ago Drama Board held up to eight shows per year versus the three or four that have been happening in recent years. The birth of the Playwright’s Festival came from the motivation to change that, and push forward the theater scene at Swarthmore. It was a surprise to many that many of these students were first-time performers, and the hope from the Drama Board is that this will inspire other students. This type of humorous and playful energy was resonant and one could tell that the festival brought a lot of joy and inspiration to the community. The Playwright’s Festival truly brought people together in a creative, playful and beautifully executed way. Everyone left the event replenished.